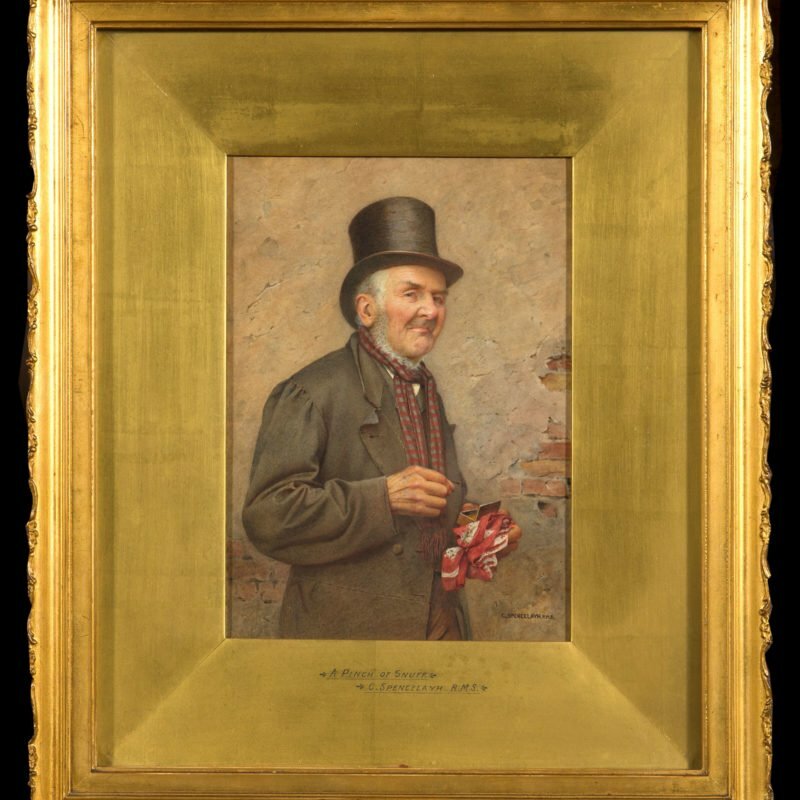 Acclaimed by one critic as ‘the modern Meissonier of British Domestic life’, Charles Spencelayh was a painter of figure subjects, genre scenes and portraits. He has also been compared to William Powell Frith in his skilful evocation of sentiment and meticulous rendering of detail. Here Spencelayh has skilfully captured a moment in time as a little girl mends her stocking. Spencelayh exhibited predominantly in Britain. 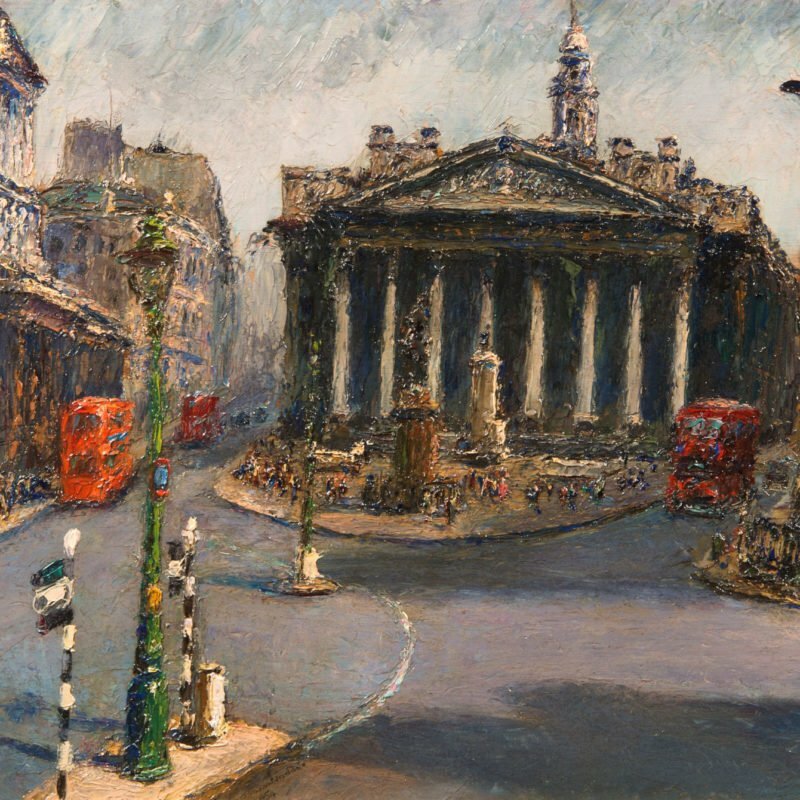 He showed 30 paintings at the Royal Academy from 1912 until his death in 1958. He was a founder member of the Royal Society of Miniature Painters, joining in 1897. 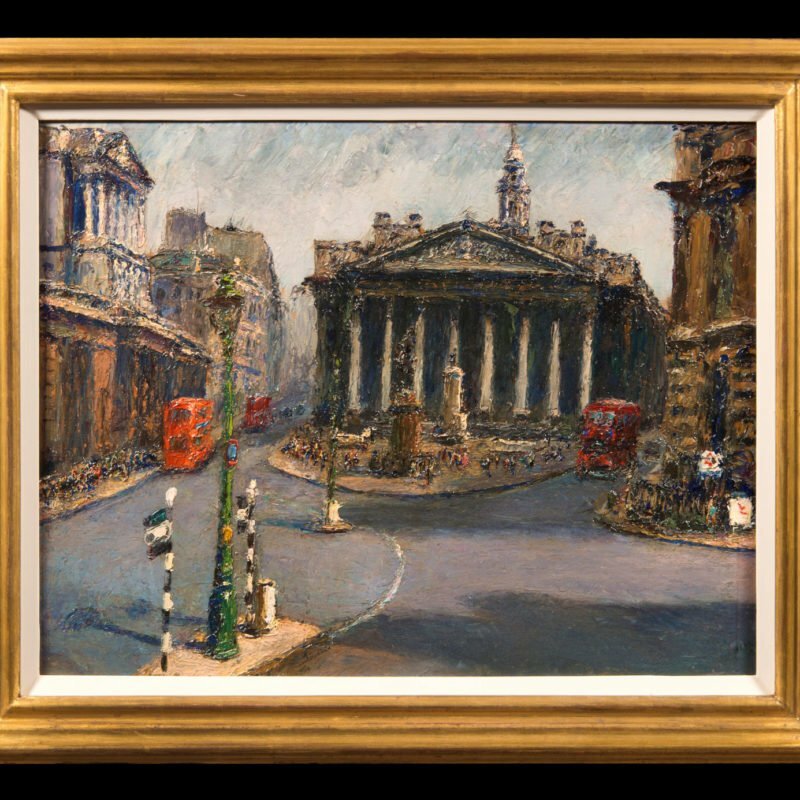 He was also elected an honorary member of the Royal Birmingham Society of Artists and Vice-President of the British Watercolour Society.